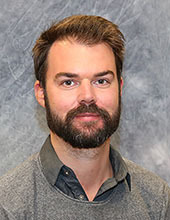 Rickard Arvidsson is mainly conducting environmental and sustainability assessments, mostly life cycle assessment (LCA), social life cycle assessment (SLCA), environmental risk assessment (ERA), and material and substance flow analysis (MFA/SFA). The main study object has been various nanomaterials, and the current research is mainly focused on environmental and sustainability aspects of the new material graphene. There might be more projects where Rickard Arvidsson participates, but you have to be logged in as a Chalmers employee to see them.